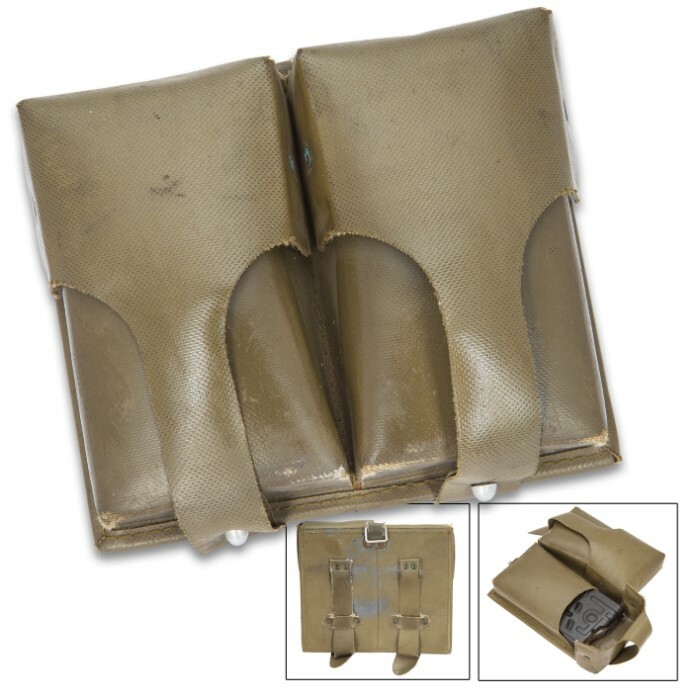 German G3 Old Style Double Magazine Pouch - Genuine Military Surplus; Used, Excellent Condition - OD Green - Rubberized Vinyl - Holds Two 20-Round .308 Magazines and Wide Range of Other Mags, Ammo | BUDK.com - Knives & Swords At The Lowest Prices! Though first issued in the 1960s to accompany the legendary G3 rifle, Germany's G3 Double Mag Pouch still has a lot of life left in it! Use it to stow extra magazines for easy access and protection from the elements. The dual pouch is designed to hold two 20-round .308 magazines and fits on a wide pistol- or standard belt. Flap closures keep dirt and moisture out while providing quick, easy access on the go. Made of heavy duty rubberized vinyl, the G3 Double Mag Pouch is waterproof and engineered to withstand years of use in challenging environments and punishing conditions. In addition to stowing magazines, this versatile double pouch is great for countless other applications - holding scientific instruments for field biologists, flies for fly fishermen, tackle for anglers, shotshells, rifle cartridges and other ammo...the list goes on! 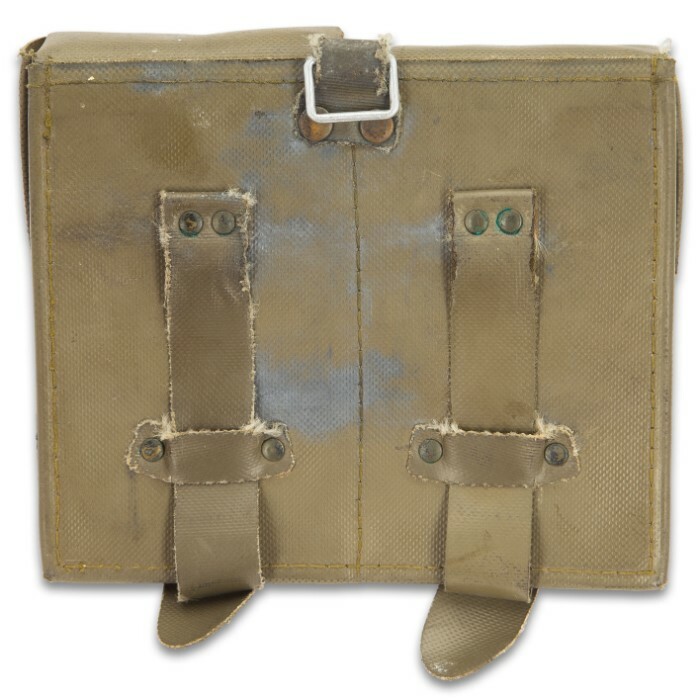 Genuine military surplus, each pouch is authentic German army-issue, used but in excellent condition. So why pay more for inferior mag pouches? Opt for military grade quality at a budget grade price, and order today!